Sriz Beauty Blog: Anherb Natural High Tan Protection Sunscreen with SPF 40 - TPI 90 Review!!! 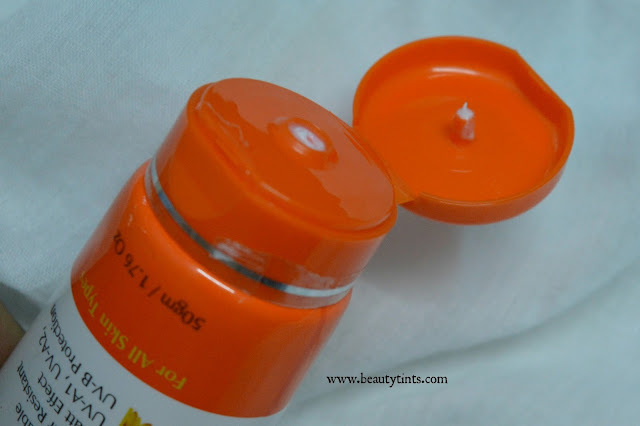 Anherb Natural High Tan Protection Sunscreen with SPF 40 - TPI 90 Review!!! Today I am reviewing Anherb Natural High Tan Protection Sunscreen with SPF 40 - TPI 90,which is my current favorite Sunscreen.It is like a savior for me in my recent trip to my hometown.My mom too liked it and she told to order one for her.It is photo stable, Water resistant and has UV A1,UV A2 and UV B protection. 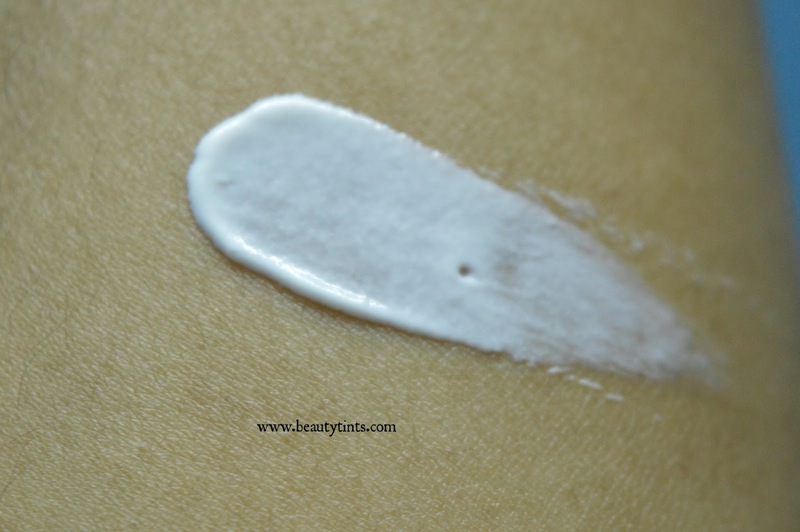 Color and Texture : This is a white colored cream. 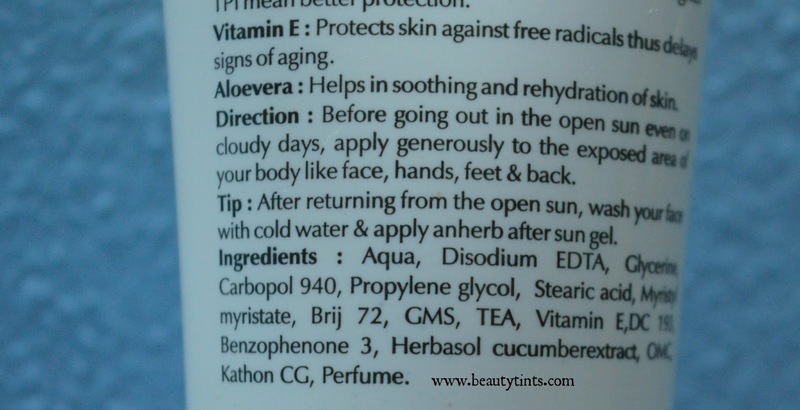 What the product Claims :Light, Quick absorbing lotion with essential moisturizer. Sun Screen (SPF 40 ) -UAV1, UAV2, UVB filters provides balanced & broad spectrum protection from harmful sunrays even in water. High Tan Protection : Anherb Natural Sunscreen Lotion with intense sun screens - protects against UV-A1, UV-A2, and UV-B, Contains natural ingredients like. 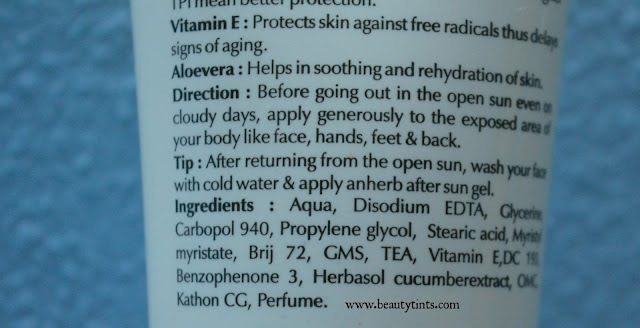 Directions for Use : Before going out in the open sun even on cloudy days, apply generously to the exposed area of your body like face, hands, feet & back. 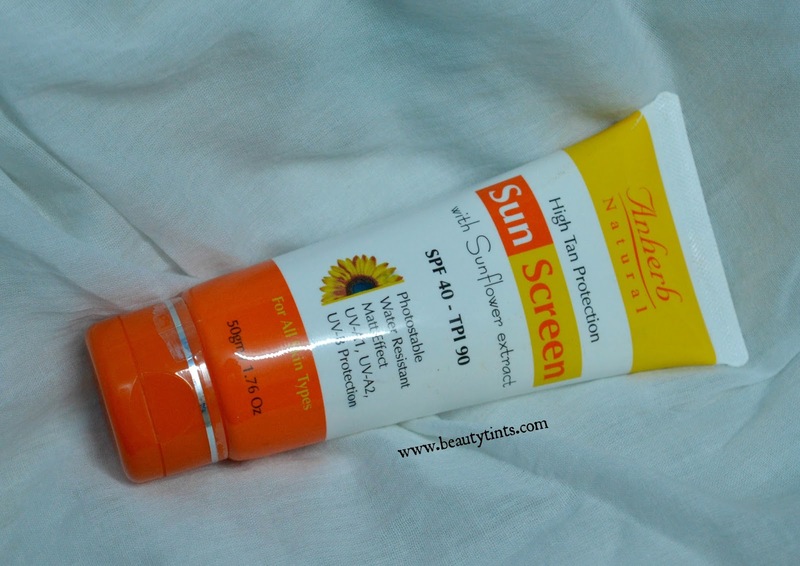 My Views On the Product : Sunscreen is a must for me in any season and this Anherb Sunscreen with SPF 40 -TPI 90 is one of the best sunscreen I have used so far.It has a very mild fragrance and has a very light consistency.It is easy to apply and it doesn't give that devilish white cast,which many other sunscreens give.It has TPI 90( Tanning Protection Index) which means that it gives extreme protection from tanning and SPF 40 is good enough for those who stay outdoor for longer hours.It is photo stable and so stays on the face for longer hours in spite of sweating or after splashing of water.I helps in protecting skin against tanning.I have combination skin and it suits my skin perfectly.It is enriched with the goodness of Sunflower Extract,Vitamin E and Aloevera.It has both UVA and UV B protection.So,it has got the complete solution to prevent ski from harmful Sunrays. 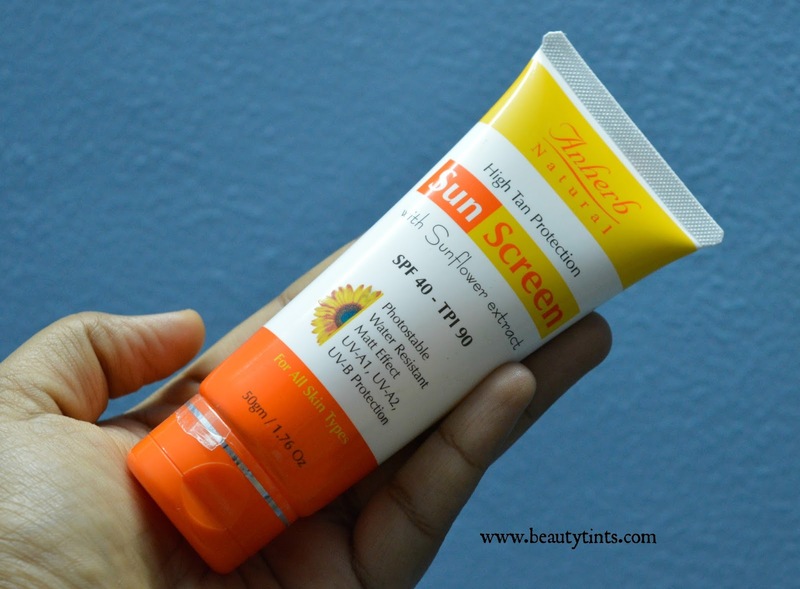 It is a very decent Sunscreen with multiple benefits at an affordable price.It can also be applied on Hands,feet and back along with face. 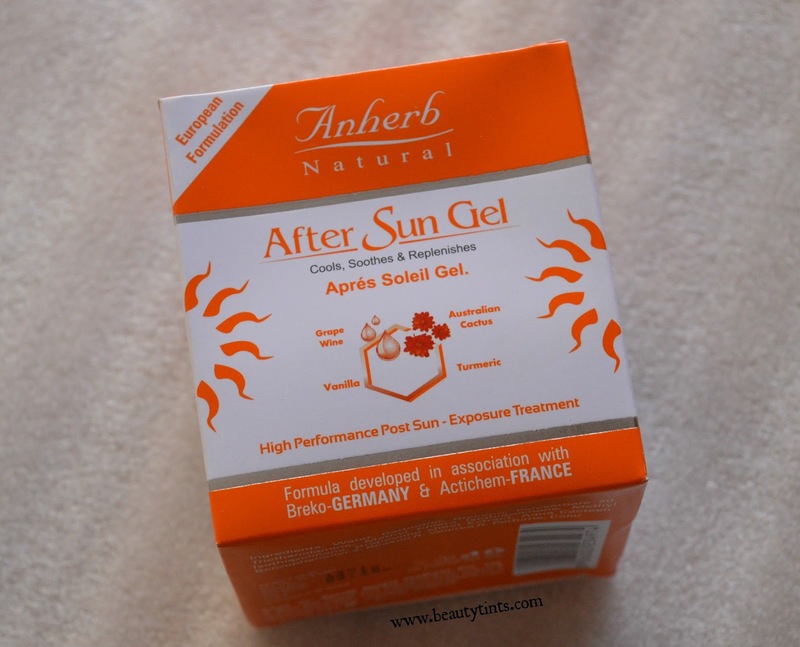 Also check out the Anherb After Sun Gel review!!! 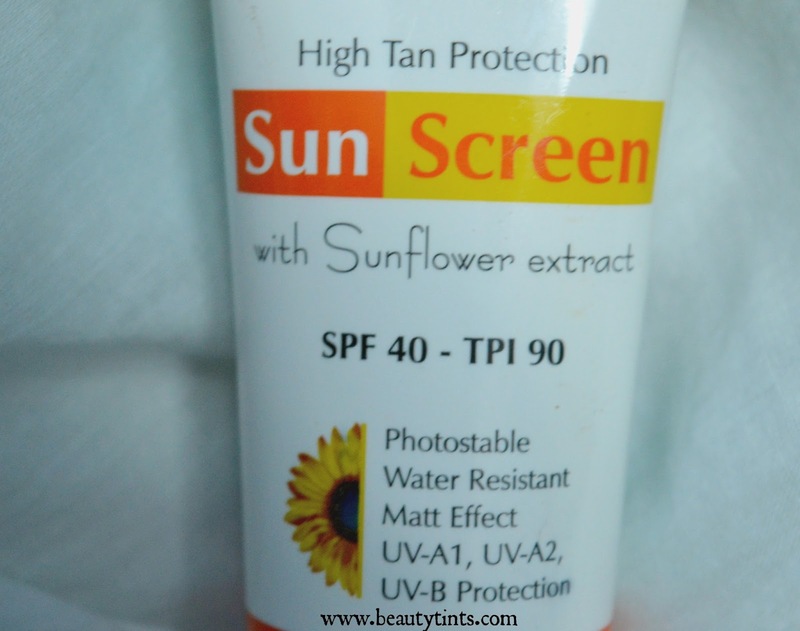 Final Conclusion about Anherb Natural Sunscreen with SPF 40 - TPI 90 : Those who are looking for a budget friendly Sunscreen which has got a complete Sun protection factors should definitely give this a try!! !